CHENNAI/BENGALURU : Taking the initiative in gaining clout in the nascent electric bike ecosystem in India, a Bengaluru based crowdfunding platform, FuelADream on Tuesday launched an electric bike eRideLite priced at around Rs 24,000. According to the company, the e-bike, which comes with two variants which will have a range of 50 km and 90 km respectively. The product will be sold through the online platform initially. 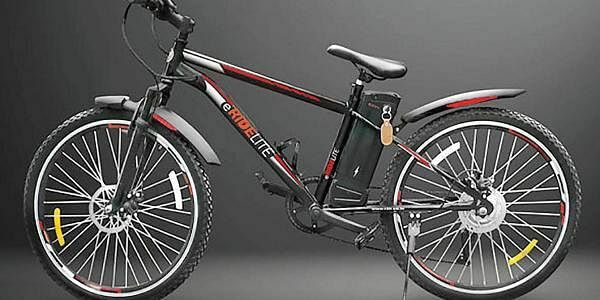 “We are excited about eRideLite because e-bikes are the future of personal transportation. For such innovations, crowdfunding ensures a win-win for everyone - it cuts go-to- market costs for the innovator, and the consumers get directly from the manufacturer at affordable prices,” FuelADream.com CMO Ram Prasad said. Meanwhile, R2H Motors CEO and Founder Ajeet Kumar said the product would be manufactured at a facility in Ghaziabad. “We have managed to keep the costs low and want electric bikes to find acceptance across consumers in both urban and rural India,” Kumar added. The entry of the e-bike is a first in the mass produced sphere and experts say that the entry and the segment holds much promise. Especially since the pricing of the bikes are low enough to be attractive to a lot of the young demographic. Kumar also pointed out that the bikes are created specifically for Indian roads and customers. “It’s a quality electric bike, created keeping the customers and Indian roads in mind. They are stylish, lightweight and sturdy. We’ve managed to keep costs low and want electric bikes to find acceptance across consumers in both urban and rural India,” he pointed out. The company is planning to bank on the affordability aspect of the new products, and the fact that alternate modes of commuting are gaining traction, especially in India cities where pollution has become a concern. The option of cycling on the product is also likely to appeal to the health conscious.